Go fish! 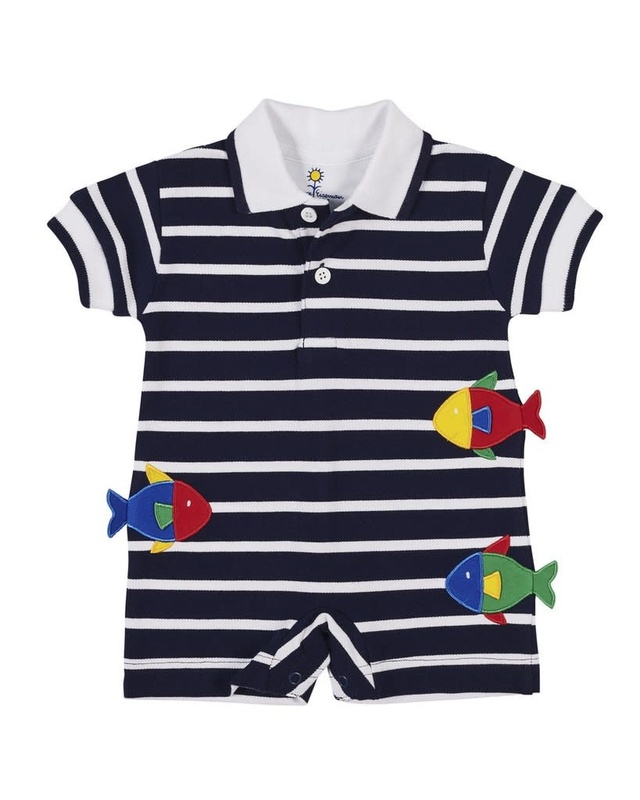 We've taken a classic polo romper and added whimsical Florence Eiseman appliqued fish with 3-D tails. Sure to be an attention getter, but even better, it's wash and wear.